What happened... A recent visit to Coex mall was a big disappointment. It looked and felt like a rundown mall back at home in the states where you could smell carpet mold and mildew in the air. 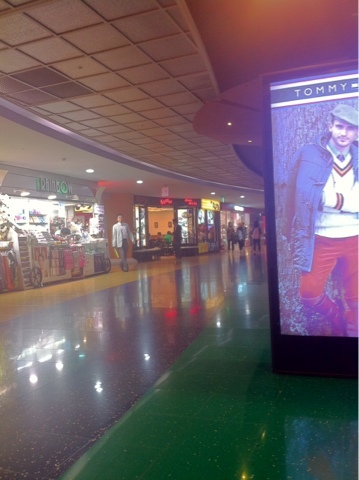 I'm sorry that I'm brutally honest, but the mall is horrible. It needs major upgrading. I hope visitors to Korea do not think this is what Korean malls are like because it is the opposite of a typical Korean mall. Korean malls are usually of a whole building, sometimes 10 floors or more. Lotte, Shinsegae and Hyundai malls are the typical Korean malls. This one is not a typical Korean mall at all. Sadly, this mall hasn't changed much in 5 years that I've been here. It's just bunch of stores put together in a confusing one floor maze for you to get lost and frustrated. I still get frustrated of the mall after all these years. You have to walk a mile to get to the store you want. There's no escalators or an easier path you could take to get to your destination. The only reason we do frequent the mall is because of a hair salon we've been going since we've been in Korea. I will most likely never be coming back to this mall after this experience. The reason I got to spend so much time at the mall was of the convention that was held one floor above the mall. I will never eat/drink/cafe/hangout at this mall ever again. The food we had at one of the donkatsu restaurant for lunch (I think called "domodachi") was the oiliest & nastiest donkatsu I've had in a long time. There is a reason I'm picky with Japanese food because when it's bad, it's really bad! Anyways, visitors and fellow residents of Seoul, avoid this mall at all costs if you care about the quality of food, cleanliness, and atmosphere. Sure there are a few interesting shops, but you could might as well hit MyungDong for that. It's not worth, it's not.